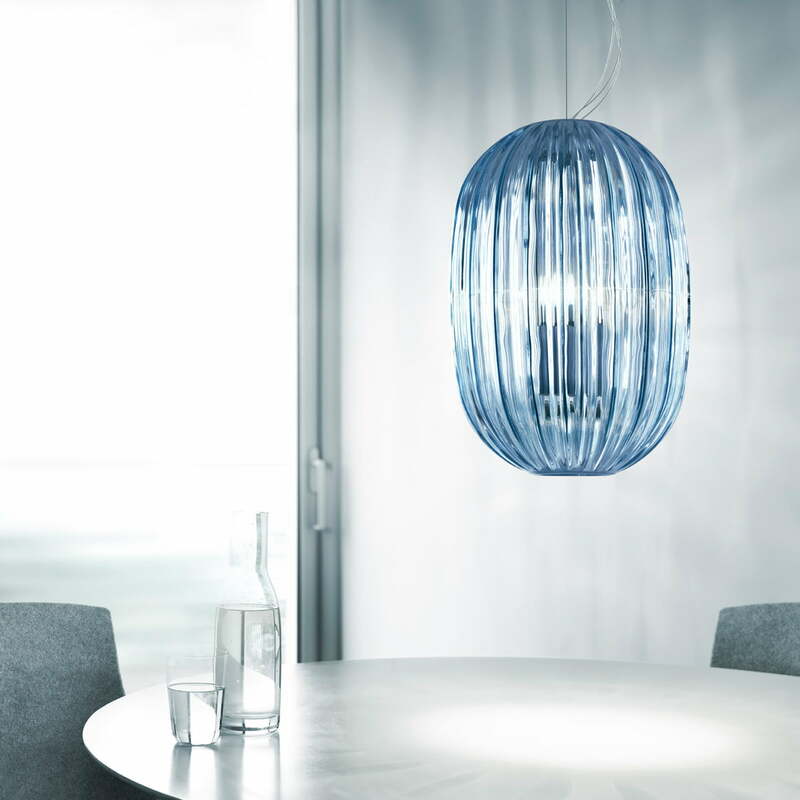 Fascinating light plays: The Foscarini Plass suspension lamp interprets traditional glass art based on contemporary materials and modern processing technology. Plass, whose name is a symbiosis of the words “plastic” and “glass”, is made of polycarbonate with a rotation moulding technique. 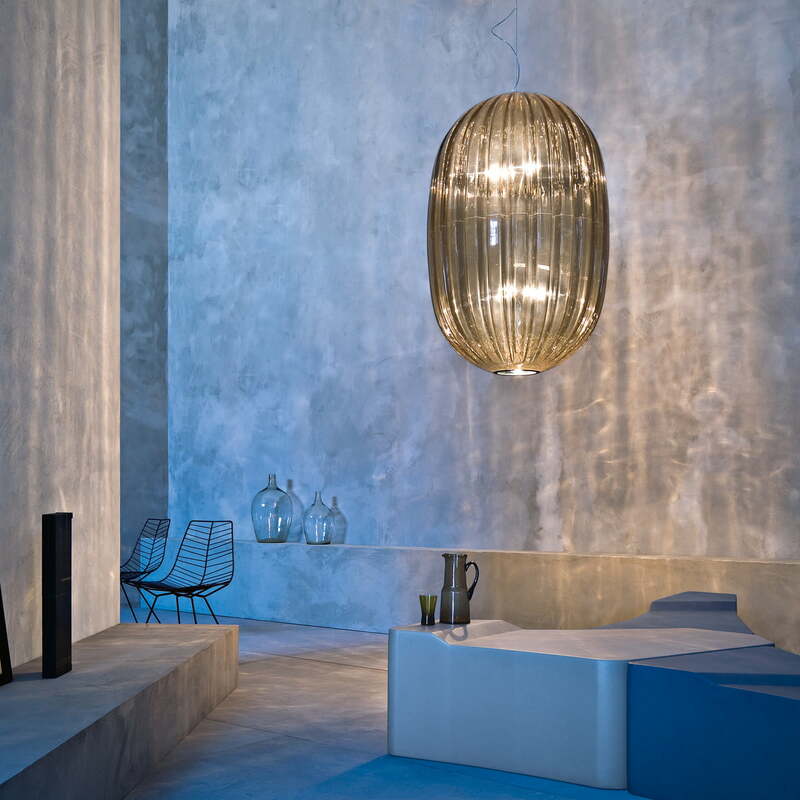 The Plass lamp was designed by the Venetian designer Lica Nichetto and it means homage to the thousands of years of glass tradition of his hometown. 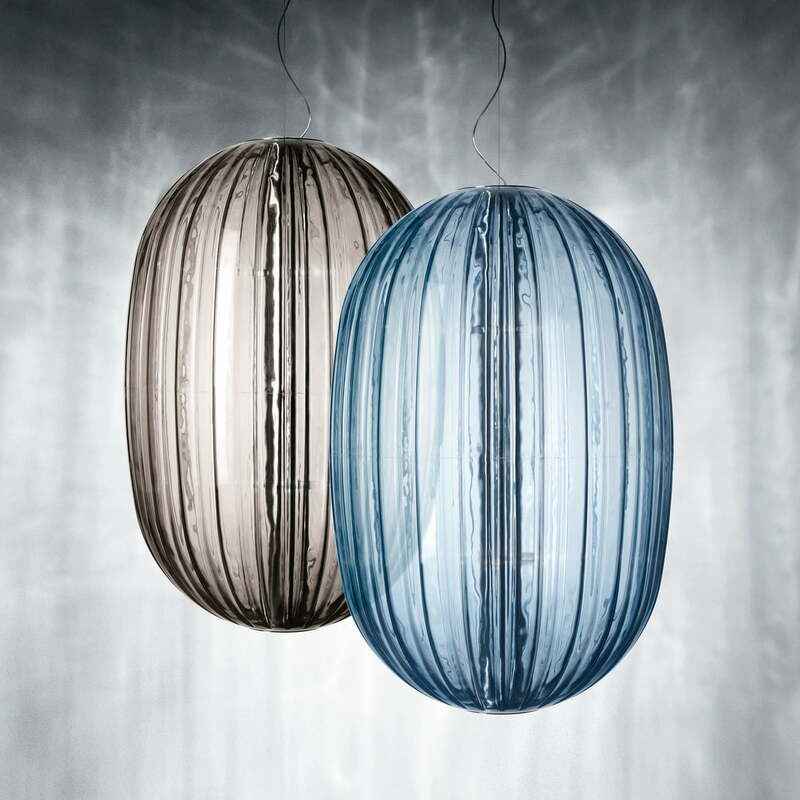 Not only the colours (aquamarine and grey) were inspired by Murano glass and the venetian arts, but also the modern processing, which is rather untypical of the manufacturing of a lamp, results in nothing but a personal product. 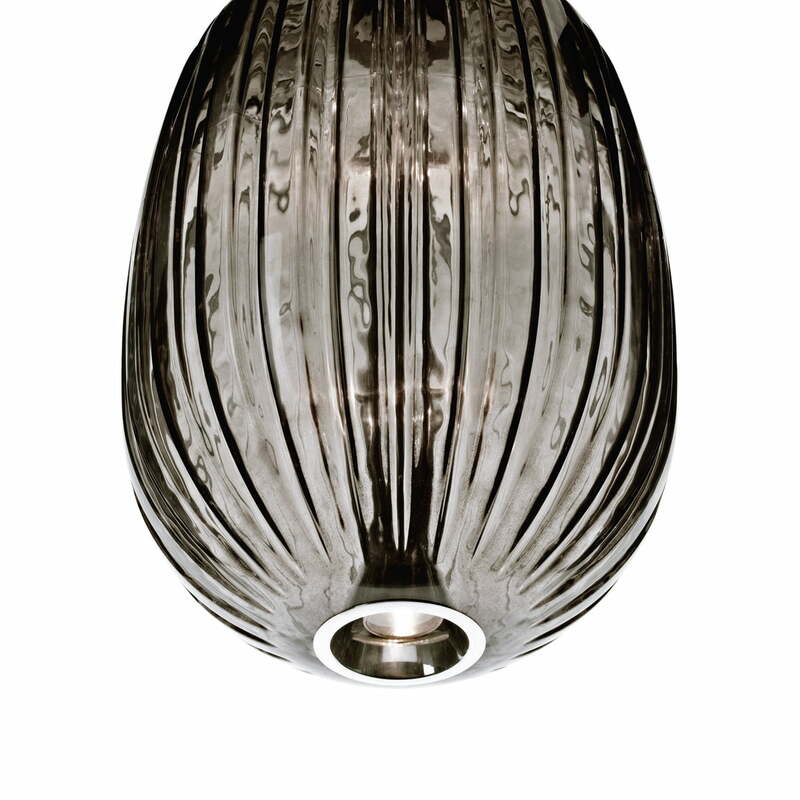 Here’s the approval: As well as handicraft work with glass, the Plass lamp is marked by irregularities. These small and individual irregularities ensure interesting and surprising light effects with the characteristic notches of the Plass lamp. The light is broken twice – from large to small and from the outside to the inside. Due to the dimensions the large Plass luminaire is especially suitable to define large and high rooms. 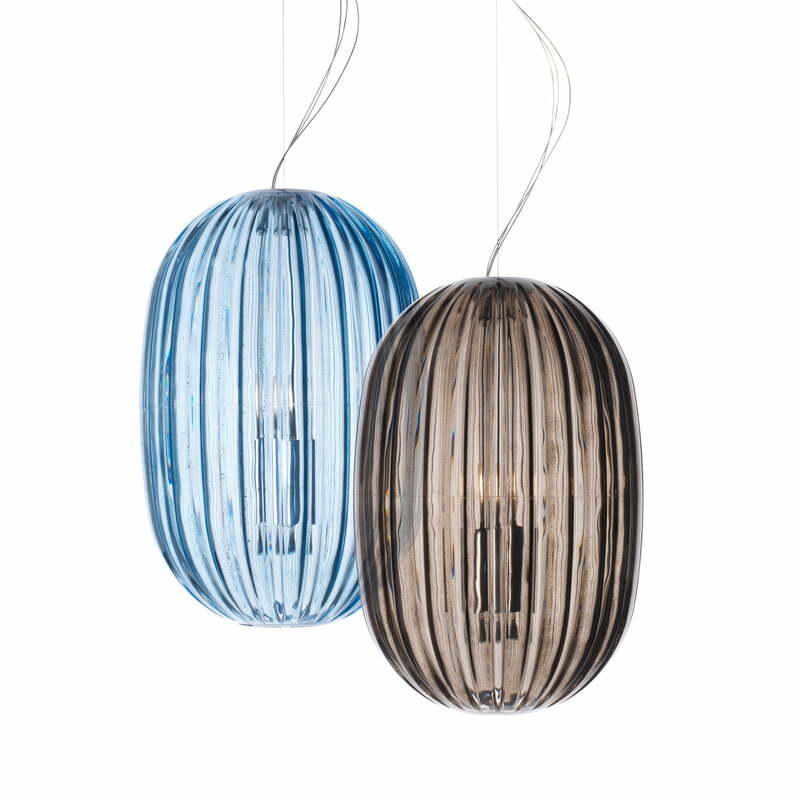 The big diffuser made of transparent polycarbonate is shaped in a rotation moulding process. Thanks to this technique, spacious hollow bodies can be manufactured without the need of welding. The inner frame consists of brushed aluminium, the suspension cord is made of stainless steel and the power cord is transparent. The ceiling rose comes with a bracket in galvanized metal and a coating made of shiny chrome-plated metal. 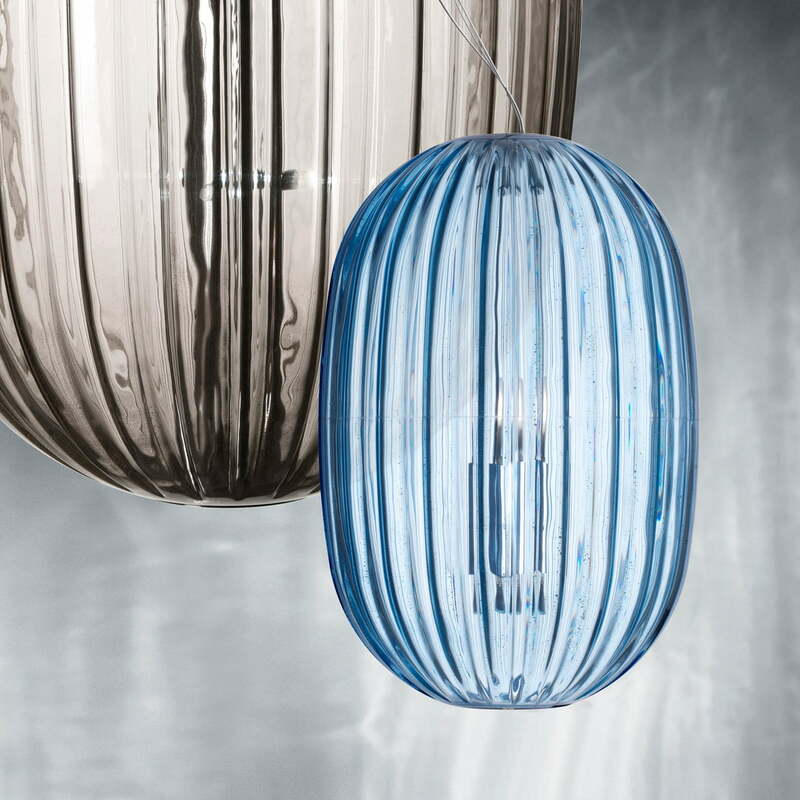 The Plass lamp by Foscarini is available in two sizes and colours (azure blue and grey).